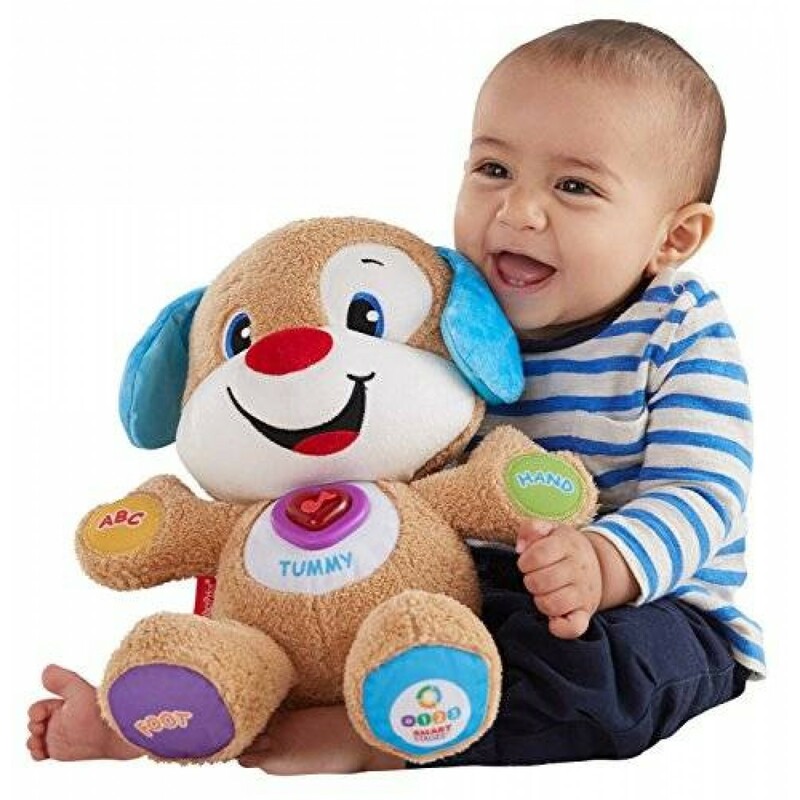 Baby's favorite puppy, with new Smart Stages learning fun! He's the same soft, cuddly friend that responds to baby's touch with silly sayings and sing-along songs - but now he's got Smart Stages technology that changes the learning content as baby grows! Because every baby develops at their own pace, Smart Stages technology gives you the ability to select the stage that's best for your child. There are a variety of developmentally appropriate songs, phrases and sounds within three levels of play. Puppy's light-up heart even twinkles along to the music! Smart Stages Technology: Level 1 - Explore - 6M+ First words and sounds spark baby's curiosity; Level 2 - Encourage - 12M+ Prompt baby through questions and simple directions; Level 3 - Pretend - 18M+ Imaginative fun and early role play.